We are loving this stage of being excited about the alphabet. Each day brings new interests and new things to learn. 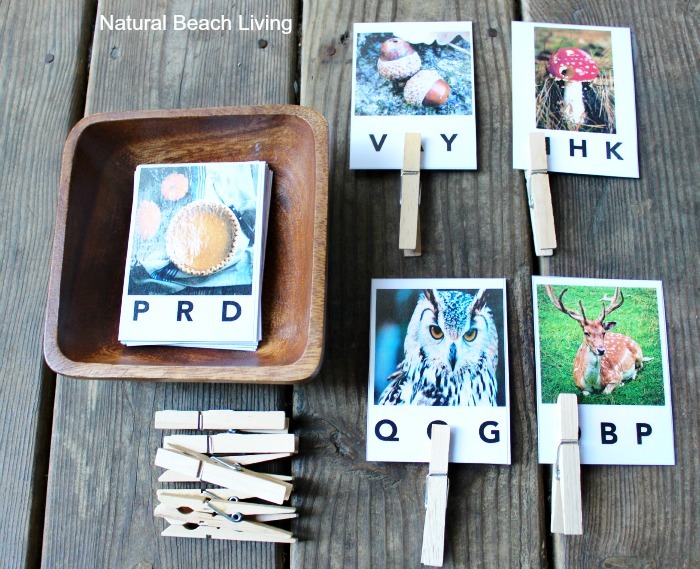 We like the idea of incorporating clip cards into our activities because they offer so much more than just the letters. 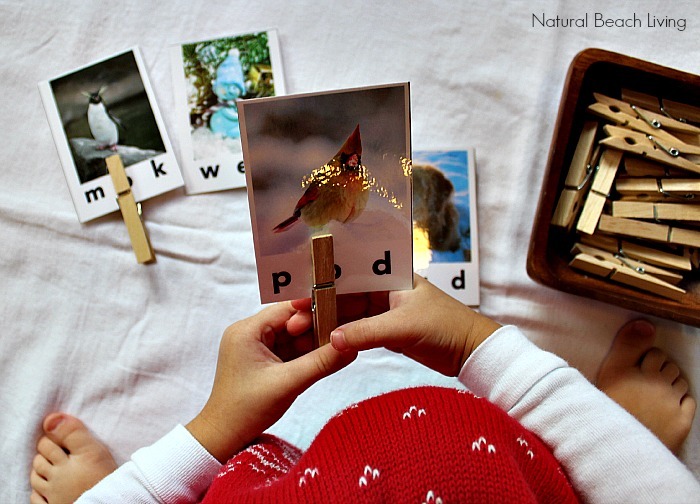 You have to see how wonderful these winter beginning sound clip cards are. You can even download your free set below. Enjoy! 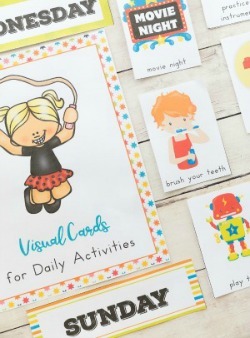 Clip cards for perfect for concentration, language development, and fine motor skills. 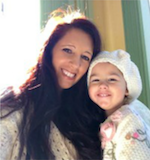 Bells enjoys the real pictures (perfect for all of my Montessori friends), and these come in the capital and lowercase letters. Just seeing this sweet face excited about her activities makes me so happy. Aren’t these the cutest?! 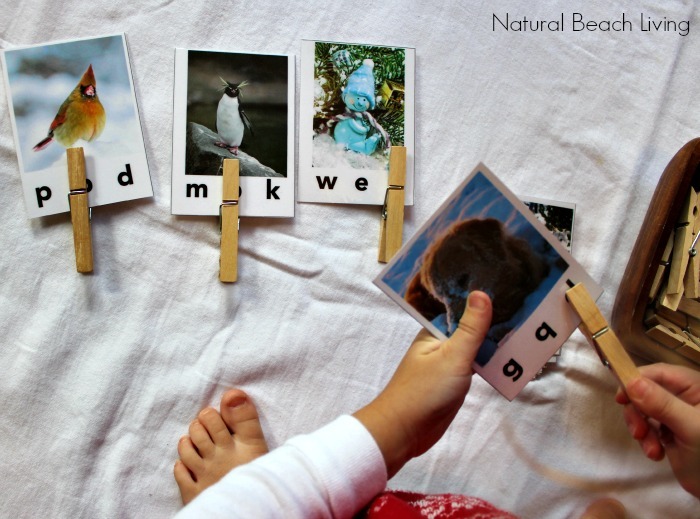 I might be biased since I see those sweet little toes sticking out in the pic 😉 Anyways, we love clip cards and these winter beginning sound cards are perfect for children interested in the alphabet. 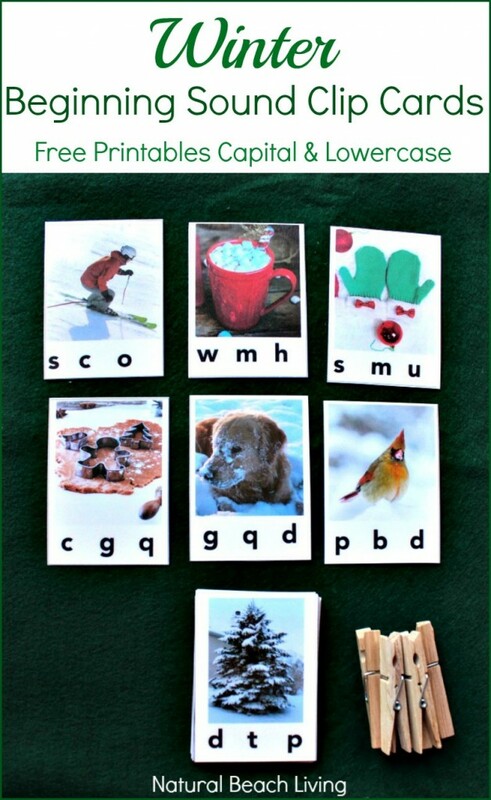 Download your Free Winter Beginning Sound Clip Cards Below. They will be sent to you via e-mail. If you have any problem downloading the cards, please let me know, and I will personally send them to you. A must because it’s Awesome and keeps your printables looking wonderful for years: Scotch Laminator and Laminating Pouches. Make sure to keep a supply of clothespins close by. They always come in handy. 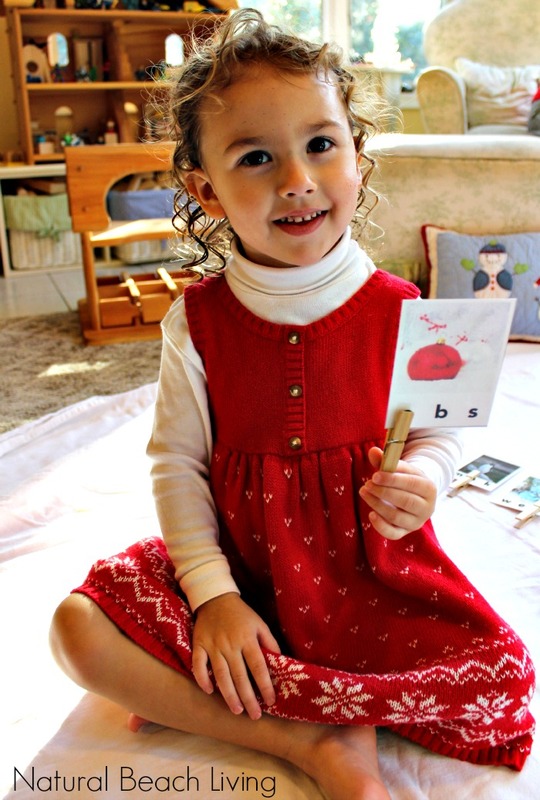 You can also check out other must have homeschooling essentials right here. I can’t imagine homeschooling without my laminator. You can download your own set of Autumn Clip Cards here. 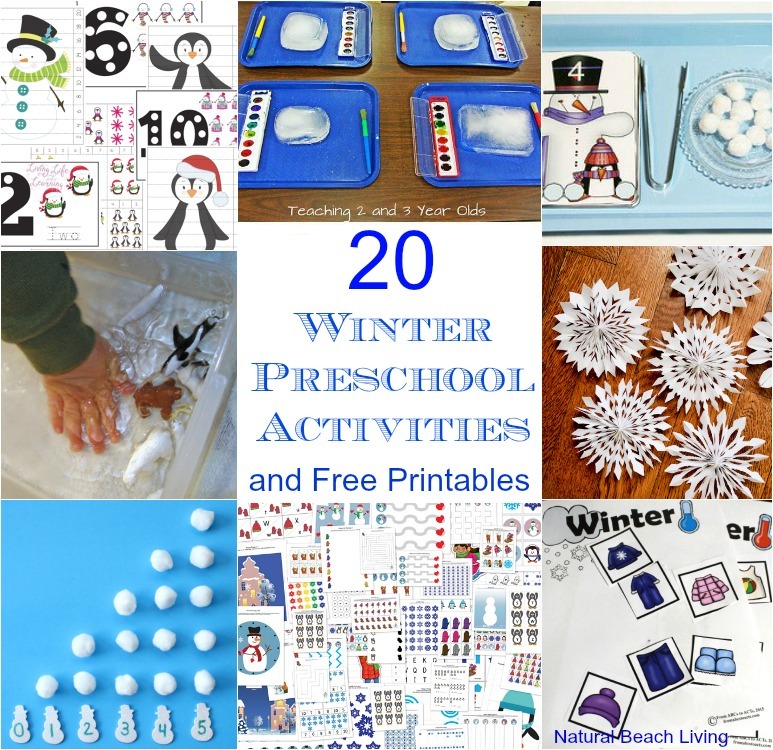 If you are interested in other winter activities click over here. I really like your beginning sound cards for winter. However when I went to download there was an error and the link could not be found. Is there another way I can get those downloaded? Sorry about that. Occasionally that happens. If you e-mail me naturalbeachliving@gmail.com and I’ll send them to you.